Fall is here and it is time to refresh and revive the colors of your life. Hair and clothing both! 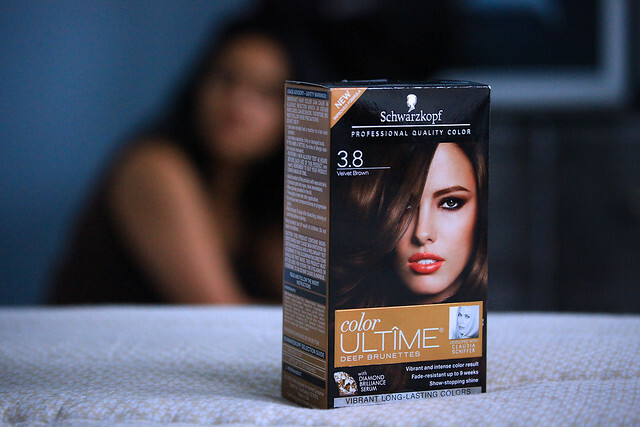 I have been a loyalist to the Schwarzkopf Professional Quality Color for a while now. 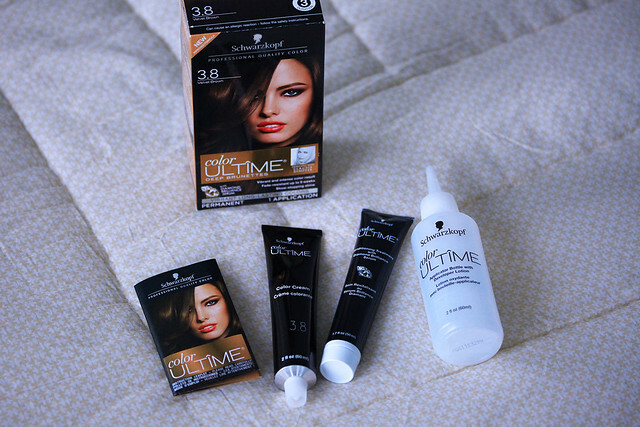 However this was my first time trying their Schwarzkopf Color Ultime collection. I chose the 3.8 Velvet Brown. Before starting the coloring process, perform an allergy test. Do this 48 hours prior to coloring. Wear gloves provided in the kit before coloring. Take the tip off of the application bottle and pierce the color cream tube. Then squeeze all of the color cream into the bottle. Screw the bottle top on tightly and shake it vigorously until it is mixed into a smooth mix. Apply the mixture onto your unwashed hair. 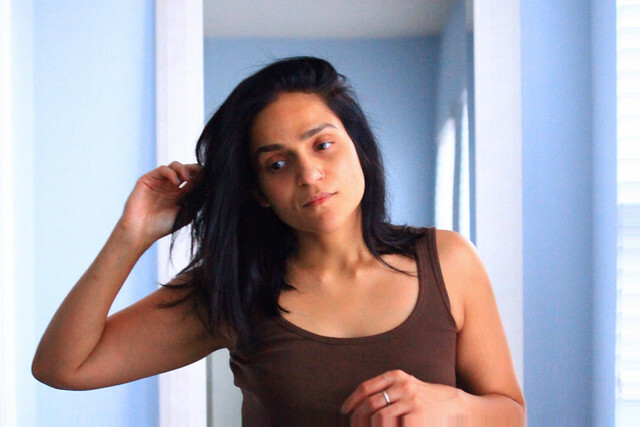 Wait for 30 minutes and rinse hair thoroughly. Voila! What a difference something as simple as hair color can make to ones confidence. 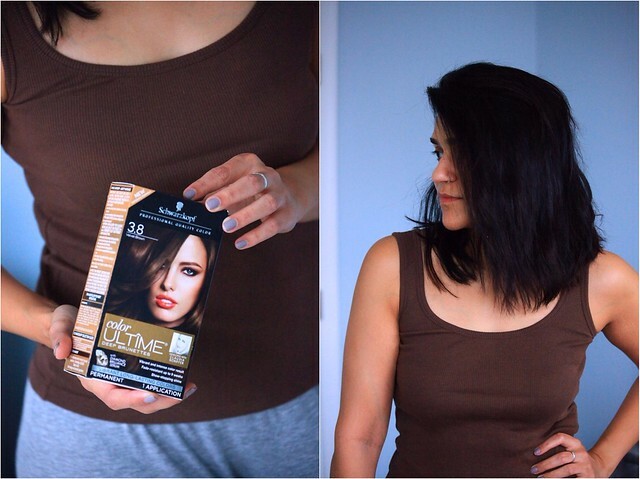 The vibrant fashion shade (Velvet Brown) from Schwarzkopf Color Ultime has added the fall vibe to my hair bringing them back to life with shine and volume. 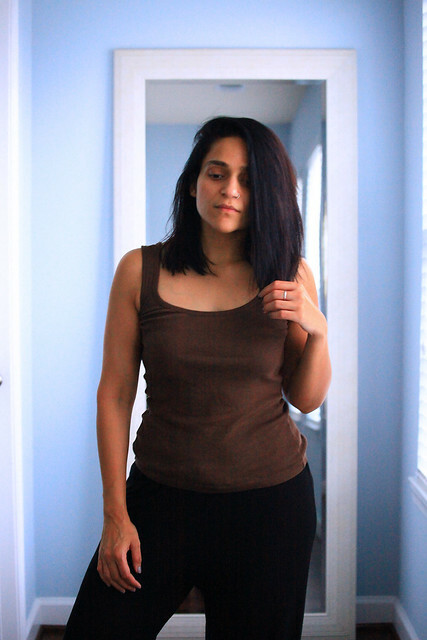 This will work with most maxi dresses however you can also choose to invest in one with deep, dark fall colors. Wearing dresses over jeans has been around for a few seasons now. This trick not only makes you get more wear out of your closet year round but also makes an understated chic satement. Both of these pieces are in style. 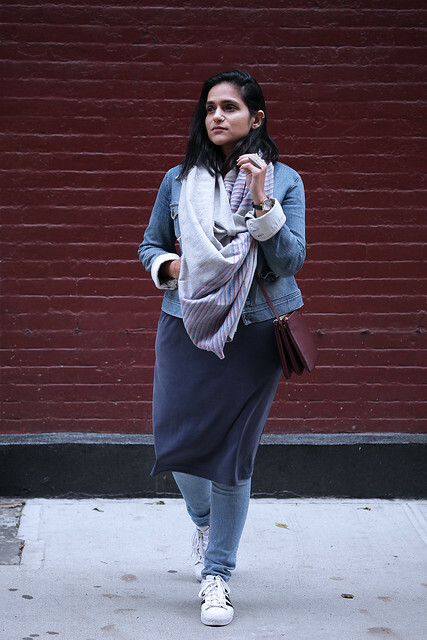 You can also add a broad belt or wrap a scarf to cinch the waist of the shirt dress to add more character. Slip dresses are making a leeway into fall, except now you can layer them with chunky sweaters and cardigans. And last but not the least, styling pants with long sweaters and cardigans. This look is not only comfortable but also super stylish. P.S. Don't Forget - If you would too would like to try Schwarzkopf Color Ultime for yourself, check out the Try Me Free Rebate and an Ibotta offer where you can earn up to $5 on Ibotta when you purchase any shade of Schwarzkopf Color Ultime! 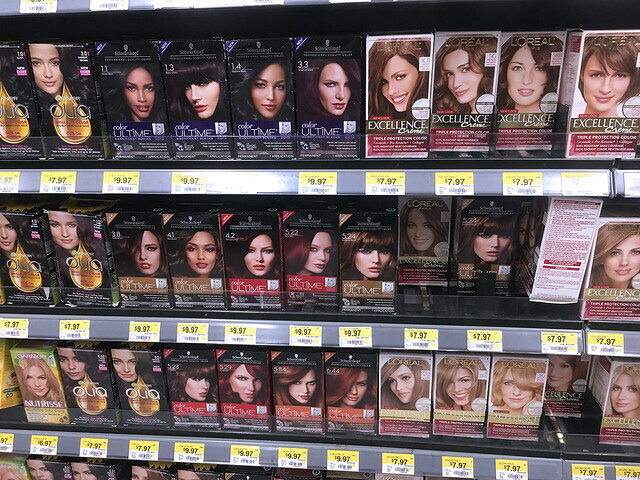 You can pick up a box at your local Walmart in the hair color aisle! 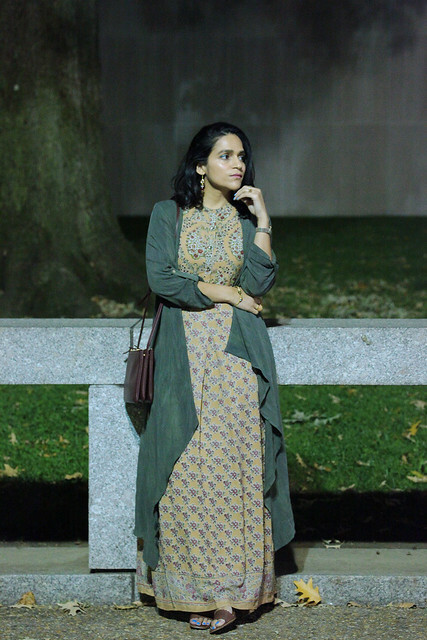 What are some of your fall styling tricks? And how would you be adding fall vibes to your lifestyle this season? That's such a nice color on you! Very pretty! I like the color you picked. 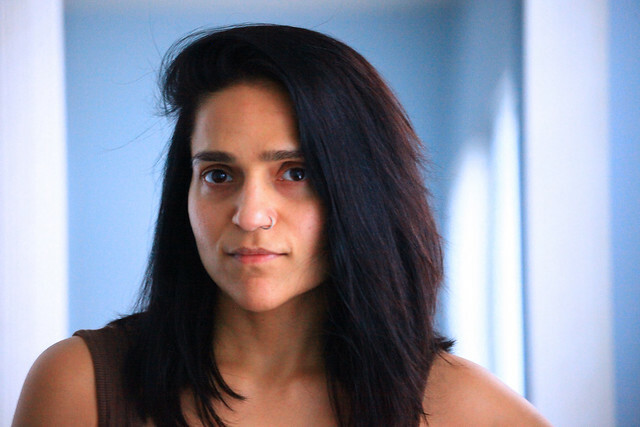 Whenever I add color to my hair I tend to go with light and dark browns or deep reds. This is a great color on you. It is perfect for fall and winter. I am always a fan of darker hair color. I love that color on you!!! Your hair looks fantastic! Love the darker color, especially for Autumn and Winter. I love this color! I have been thinking about coloring my hair again but I am so hesitant! That is such a great color on you and for this season. All these colors look awesome. Thanks for sharing. I feel so overwhelmed when choosing a new color at the store. This came out nice on you. I actually want to do that. I wouldn't mind trying blonde in my hair. I did it once when I was younger but now, things would be a little different. That and some beiges would be really nice. I love your hair style! I've colored my hair myself a few times. It's a fun process and the results are usually pretty good! I've grown to love bright and bold colors like purple and pink with my hair! I think these are pretty awesome too though. It's nice to match your hair with the season. I loved your hair style and the color you have used. it is fun to try different shades of color according to ones mood. Loved this! I love your photos too, the colours are beautiful. You look so beautiful in your hair color perfect for you. Looks like a natural color. Awesome!! That color is quite fabulous on you! I'm loving the beautiful outfits too. Your styling is great! I used Schwarzkopf dye colors, and I really liked it. Will definitely use it again. You look so pretty! The color of your hair can make such a diiference. The color looks great on you! It is perfect for your style! I like the idea of matching fall hair with fall outfits. The hair color looks so gorgeous, suits you so well. The brown hair looks lovely on you. Warms up your whole look nicely! Wow you look so beautiful, your hair color is really perfect for your gorgeous outfit. I love that your hair color,want to try that color on my hair! Wow your styling sense is really amazing.. your hairstyle is going well with each of your dresses..